Songs - MY PLANET, YOUR PLANET revue - Part III: TOMORROW NEEDS US, AGENTS OF CHANGE; COME JANUARY; PHIL; PHIL'S CHASER; VALENTINE; FOREVER FRIENDS; XTREME WINTER; ODE TO THE TREBLE CLEF; TWANG THAT THANG; DOWN IN THE VALLEY; ON THE BUS; THINK ON THESE THINGS; ON THE (FORMERLY) BEAUTIFUL BLUE DANUBE; JUBA JIVE (Low E, G, A, B; OPT. PT. 2 Low D, E). Articles - MY PLANET, YOUR PLANET - Teacher's Guide, Script, Reproducible poster and program cover; About the Rest of the Music in this Issue; William B. Aycock, I Love You! - Carol's Corner; Anne's Vocal Clinic - Anne Ellsworth; Network; Quodlibet; Photo Journal... and more! 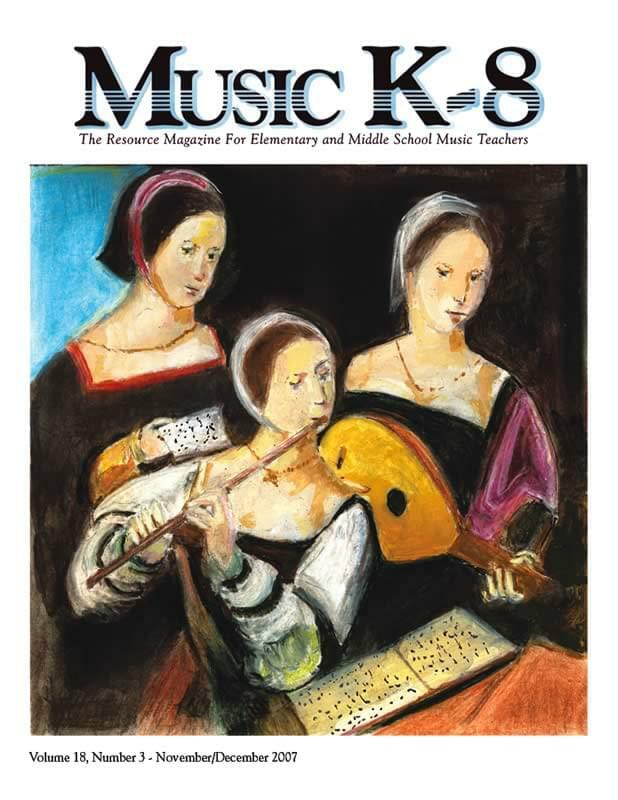 About Downloadable Issue OptionThe downloadable issue includes a PDF of the magazine, audio in MP3 format, and a PDF of the Student Reproducible Parts. The combo version includes all that, plus the print magazine, CD, and print Student Reproducible Parts.